▶ Will one day of classroom training be enough, what if I need more? ▶ Why are some schools offering a single day class while others extend the training to multiple days? Let us put your mind at rest! 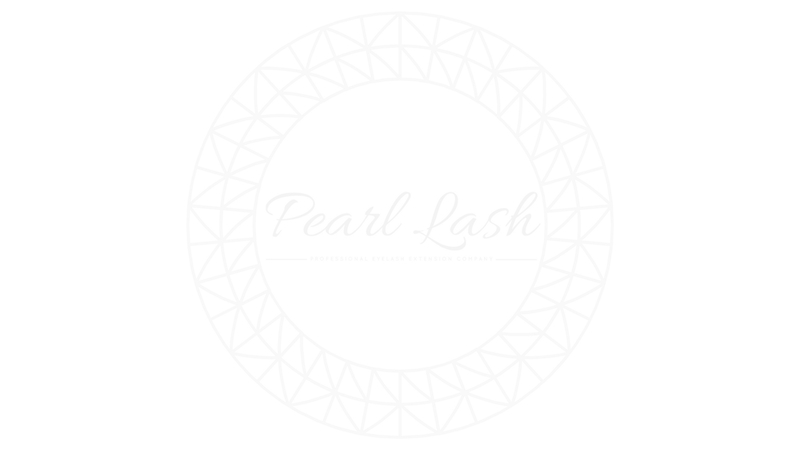 At Pearl Lash, we believe that there is nothing more valuable in our profession (or possibly life) than time. While most of us are able to take a day off and dedicate it to training, spending two days away from your job and asking your model to take a full day off for you might be challenging. Early on, we made a decision to incorporate each of our training courses into a single day. We believe the required technical information and hands on training does not demand more than a single day commitment when researching student testimonials. However, if any of our students do not grasp any portion of the class during the full day of training, we have a great option for you… Free Refresher Training! 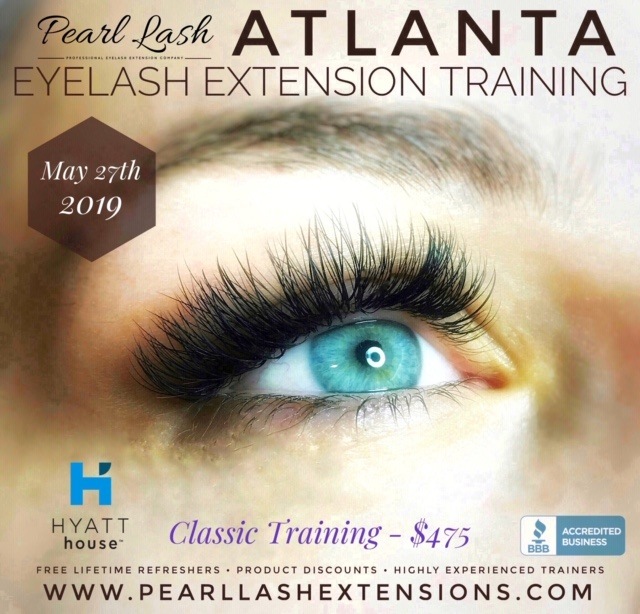 Pearl Lash has pioneered the first and only Free Refresher option in the SE United States! Coming in for a second day of training is absolutely free! Yes, you heard it right, Free! If you choose to extend your training from a one day to a two day, you are welcome to do so at No Additional Charge! You may do so right on the spot (during your initial class) or you may attend any of Pearl Lash future events, in any city, at any time. Please note that seats in each class are limited and fill up in advance, please allow enough time to make sure the specific class and location of the refresher you would like to attend is still available. The best part is that the Free Refreshers are truly Unlimited! You may come in as many times as you like until you feel confident to proceed with live clients! 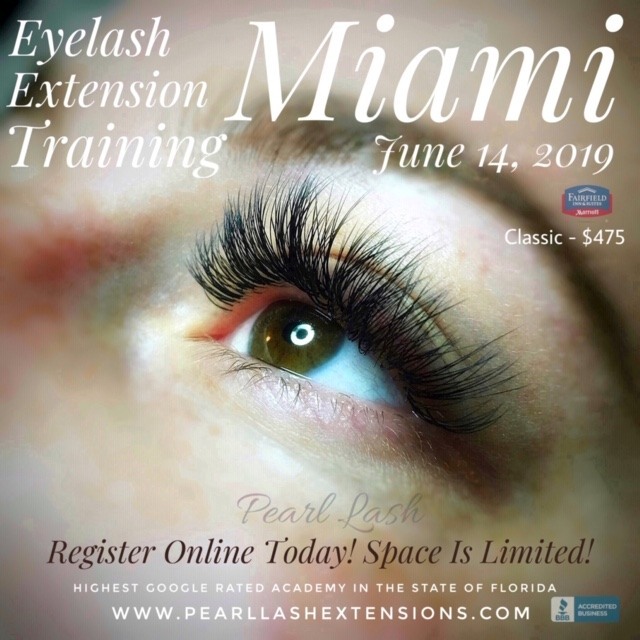 This concept of giving our students an option to choose how much time they need to spend in class, one day or five days, as well as providing each graduating student a direct line of communication with their instructor while practicing at home, is what has given Pearl Lash an A Rating from the BBB and propelled us to be the Highest Rated Eyelash Extension Academy in Florida based on student reviews! We always encourage students to do their homework when choosing their advanced education partner. We are delighted that our students are excelling at their newly acquired profession and appreciate all the positive feedback we receive, Thank you! What our current and former students already know, and new students will soon come to find out is that on top of the high quality professional education that Pearl Lash provides, we also provide continuous support from our Master Trainer, discounts on all professional products including free shipping, free lifetime refresher training as well as access to advanced classes designed only for Pearl Lash students.Please read our comprehensive FAQ section where you will find answers to most common questions. You can always contact us as well, our phone and online chat operators are available 7 days a week between 9 am and 7 pm or you can drop us an email. For Pearl Lash updated Training Schedule Follow this link.